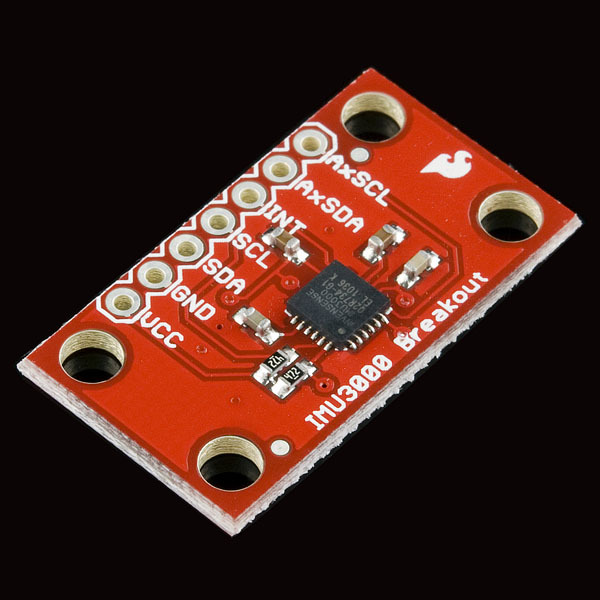 We provide you with a simple board which breaks out the necessary pins on the IMU 3000 and provides for the primary I2C output as well as the secondary I2C input for an external accelerometer. Is this product suitable for use in a DIY Segway? I'm just learning about IMUs and advanced sensors like this, so if anyone can tell me the cheapest option that will give me a decently accurate reading of the tilt (leaning forwards and back) it would be fantastic. 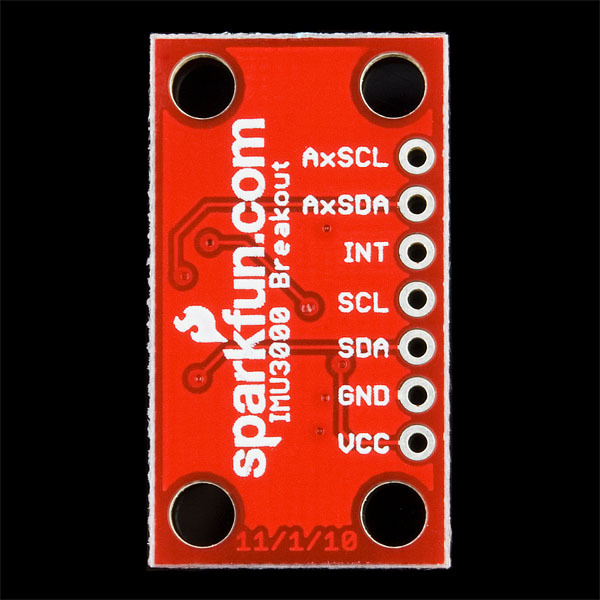 does it contain accelerometer or we need to connect external accelerometer? 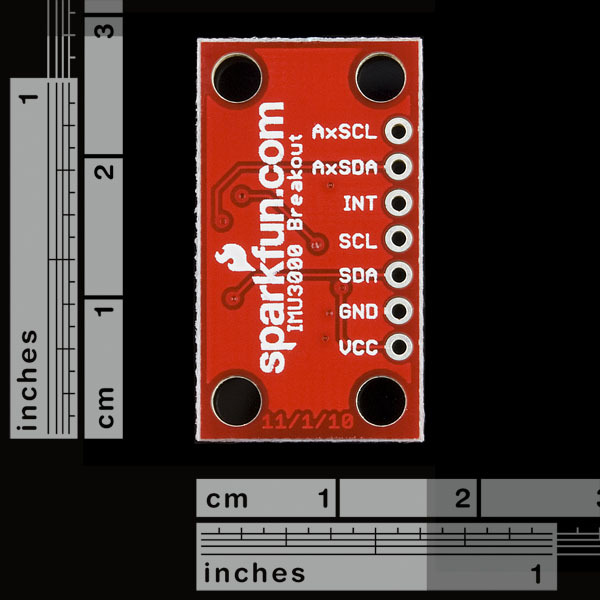 Could I use this as an IMU in a plane, or do I need more DOF? What about the MPU-6000, also from InvenSense? Cheap, same basic functionality, 6DOF unit with quaternion calculation, etc. It looks like a perfect upgrade from this. 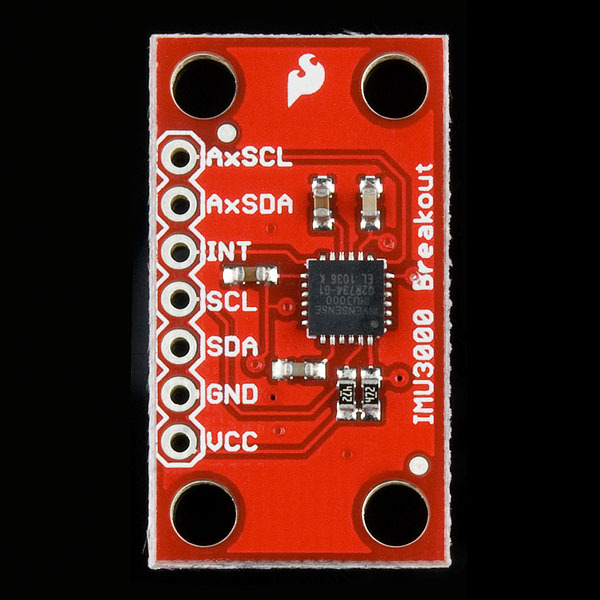 It doesn't specify in the IMU_3000 datasheet, but with the ITG-3200 if I remember right(dataheet says to connect CLKIN to gnd if unused), CLKIN had to be grounded if not used before it would work. I'm sure somebody has tested these new boards. 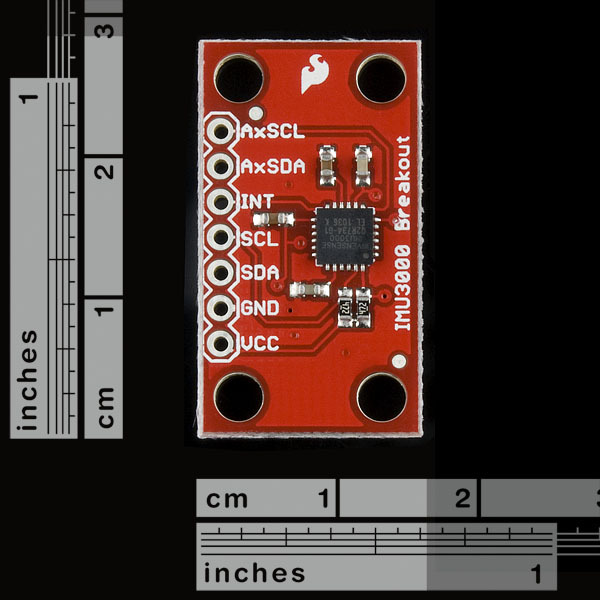 Personally I was a bit disappointed with this chip when I read the datasheet compared to when it was first press released. 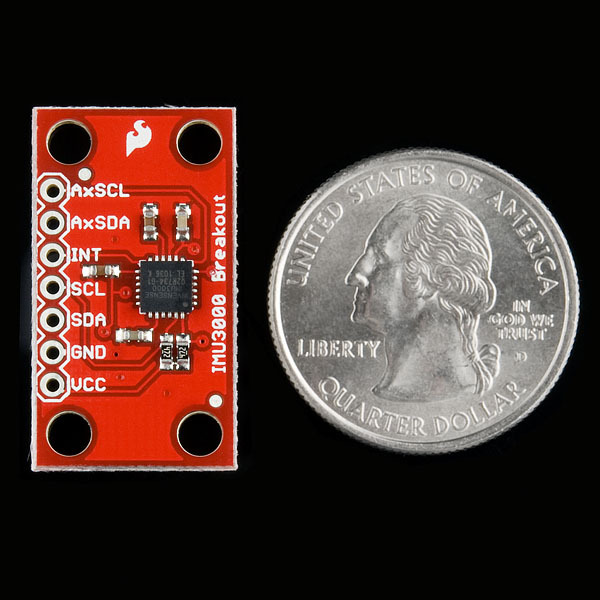 The only thing this chip does is collect the accel data for you so you only manage one I2C, there's no actual processing. So the Digital Motion "Processing" name is a bit deceptive as the same can be achieved with mcu's with DMA's. Granted it does save you some power but for the average user this won't matter that much with home rockets lasting only a few minutes at best. There's also no provision to do INT triggered read for the external accel, if you read the BMA180 datasheet it will tell you that to get the best performance out of it you should leave it alone until it generates an INT, as traffic on the bus can couple noise into it while its ADC was sampling.